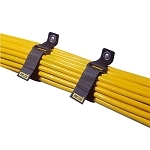 The Rip-Tie EconoSeries is full of easy-to-use cable management products. 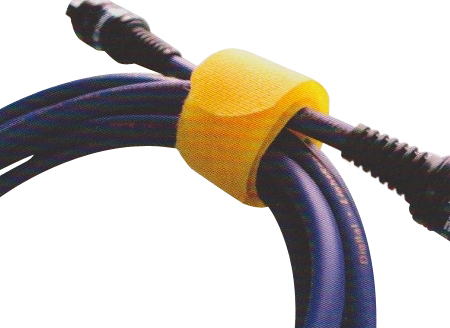 Mainly consisting of the EconoWrap, it’s a type of CableWrap made with an economical design that features a die-cut for quick loosening and tightening of bundles. Made out of 100% Nylon, the EconoWrap and all of its related attachments are available in 3/4” – 1” widths, and as long as 11”. Made with a budget in mind, small and large packages of the Rip-Tie EconoSeries are affordable for the average user. Each is intended for medium duty jobs, able to fasten and release up to 2,000 times before losing functionality. The various attachments have their own signature function that work with the EconoWrap. 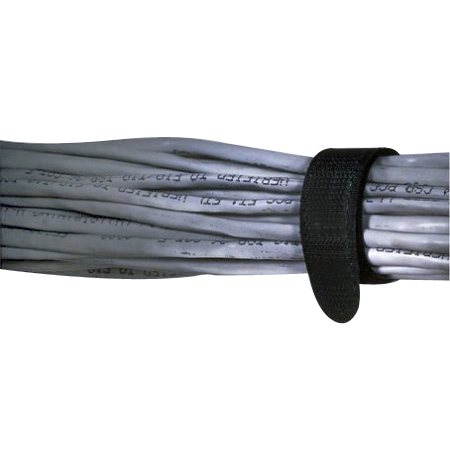 The nylon tie makes a semi-permanent hold on cable bundles for a secure fit; the snap-on and slip-on attachments offer a quicker solution to wrapping up wires and cables. All Rip-Tie EconoSeries products are available in 10 colors.